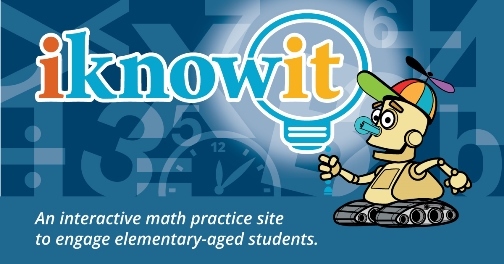 I’ve been working with Small Fry (6 years old) on a new math website called I Know It. 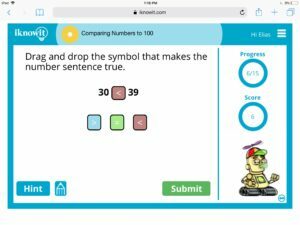 From the creators of Super Teachers worksheets, I Know It is a completely online program offering supplemental math lessons for kids K-5. 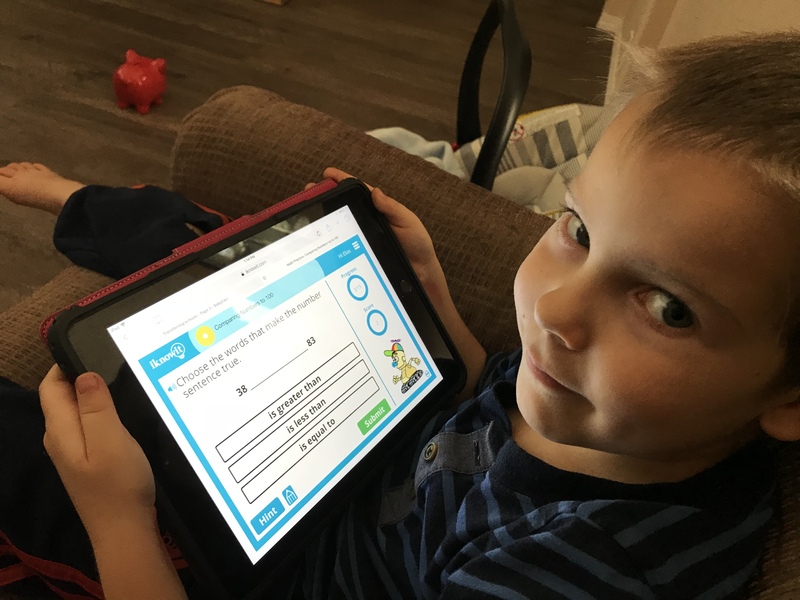 Even though it’s designed to work as extra practice for your child’s main curriculum, we don’t actually have one right now, so we’ve been using as a main math curriculum the past few weeks. Because Small Fry is only in first grade, that’s been okay; seeing the program in action, though, I agree that it would be best as just a supplement. Setting up the account was really easy. It was just a matter of entering my son’s name and grade. Everything else was automatic, specifically the available lessons. 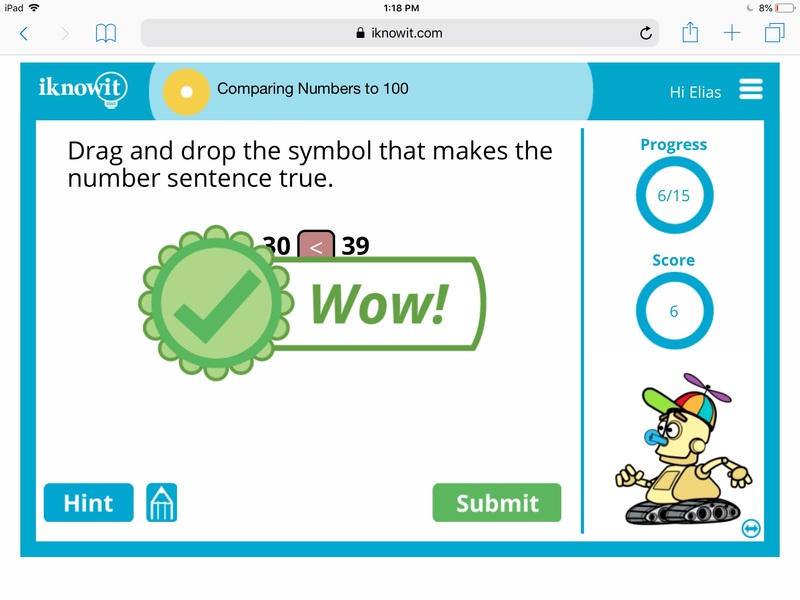 When you go to the site and log in, there’s a little pop up from which you choose the student who is using the site. Once you do that, the pop up closes and age appropriate lessons are available. 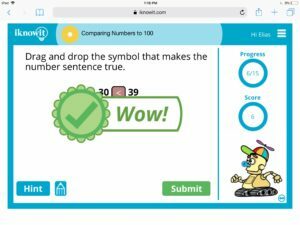 You can assign specific lessons to your child or just have them choose from what’s available in their grade. I tried the assign method to see how we liked it, but in the end decided it was better to choose a lesson on a day to day basis. If you have upper elementary school students who can work semi autonomously, though, that would be a great tool to keep them from having too many choices and therefore not being very efficient with their time. Another reason assigning didn’t work too well for us was because my son doesn’t read independently yet (he’s still working on CVC words). Since I was sitting right with him during these lessons, I could just select the lesson I wanted him to work on that day. 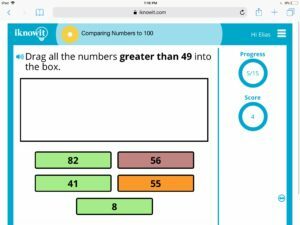 Once I’d logged in and selected a lesson, the questions would start right away (one at a time). I read the question aloud to Small Fry, and he would answer it on his own. There are lots of different types of questions: fill in the blank, multiple choice, q & a. 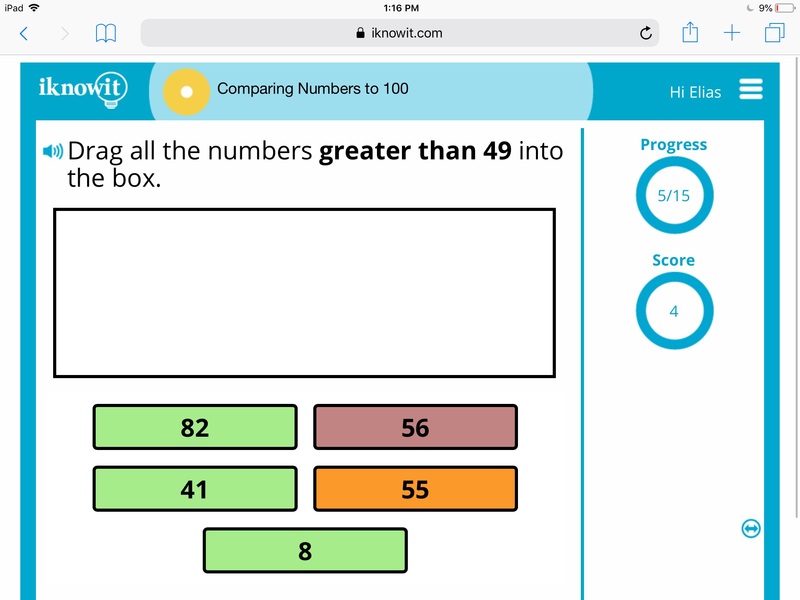 One thing I appreciated was that on the questions that required a typed answer (all numerical in the first grade level), the website used its own keyboard rather the standard iPad one. This made it a lot easier to focus as Small Fry wasn’t distracted by the letters. When the student answers the question correctly, a positive word shows up in green and the robot mascot did a little animation. This changed from question to question, though there were some repeats. Each week, I received an email from I Know It detailing what was worked on. It spelled out exactly how long he spent on the lessons, how many questions he answered, and the names of the lessons completed. 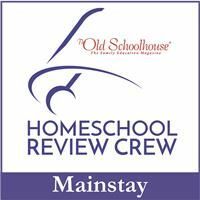 This wasn’t super important for me since I helped my son each day, but if you have an older child working largely on his own, this information would be invaluable – especially if you live in a state that requires curriculum reporting. We have had a very positive experience with I Know It. 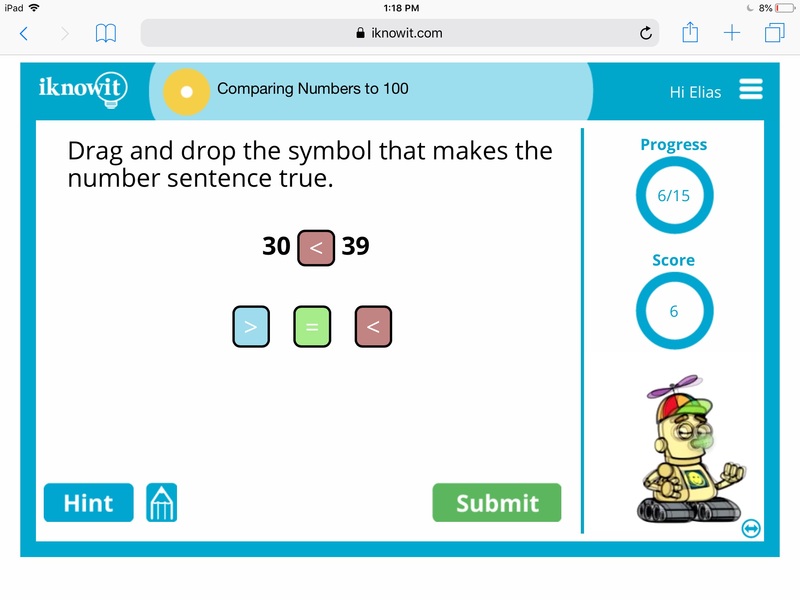 Small Fry enjoys the lessons, he’s getting good reinforcement on age appropriate concepts, and it doesn’t take too long to get through a lesson (8-10 minutes for 15 questions). 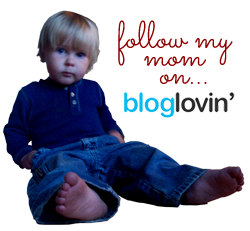 But don’t just take my word for it; click the banner below for more reviews.